This Returns Policy complies with the EU Directive on Consumer Rights, as reflected in the Consumer Contracts (Information, Cancellation and Additional Charges) Regulations 2013, which came into force on 13th June 2014. If you have received the goods, you should not use them and you should return them. Any cost in returning them will fall upon you, the consumer. Provided any goods delivered before cancellation are returned to your Reliv Independent Distributor within 14 days of cancellation, a full refund of the purchase price paid by you (including the cost of standard delivery to your delivery address) will be made promptly to you by the same means as you made the payment which is being refunded. The return of any product will not affect the customer's statutory rights. If you have received the goods, you should not use them and you should return them to Reliv. Any cost in returning them will fall upon you, the consumer. Provided any goods delivered before cancellation are returned to Reliv (at Reliv’s address above) within 14 days of cancellation, the purchase price paid by you (including the cost of standard delivery to your delivery address will be promptly refunded to you by the same means as you made the payment which is being refunded. Auto-Ship Programme – if you have enrolled in Reliv’s Direct Select Auto-Ship programme, you may cancel your contract at any time up to 14 days after delivery of your first order, by following the procedure outlined above for a purchase made direct from Reliv. After the first delivery, your auto-ship arrangement may be changed or cancelled by giving 7 days’ notice to Reliv. Your legal rights include the right to receive goods which correspond with the description (and any sample) by reference to which they were sold, which are of satisfactory quality, which are reasonably fit for the purposes for which such goods are usually bought and for any particular purpose for which you have informed the seller that you wanted them. The cancellation rights and the Reliv 30 day No Quibble Guarantee which are set out above are in addition to those legal rights. We make every effort to ensure that Reliv products are of the highest quality. If, however, the goods are damaged upon delivery or you consider them to be defective or below the quality reasonably to be expected, please contact your Reliv Independent Distributor - or Reliv Europe direct – without delay. The rights of Reliv Distributors to cancel an order that the Distributor has placed with Reliv are governed by the Policies and Procedures which are part of each Distributor’s contract with Reliv. Sometimes a Distributor orders goods for his or her own personal use or consumption, or to give as gifts. A Distributor who orders goods as a consumer has the rights set out at B, C & D above. If such an order is to be placed, it is the responsibility of the Distributor to make this clear to the Company at the time the order is placed. In accordance with our aim of total consumer satisfaction, we will acknowledge any complaint within 2 working days and will seek to resolve it as soon as possible thereafter. Any consumer who is still not satisfied may contact the Direct Selling Association which operates a dispute resolution service. For details of this and of the Direct Selling Association’s Codes of Practice contact DSA, 30 Billing Road, Northampton, NN1 5DQ, tel. 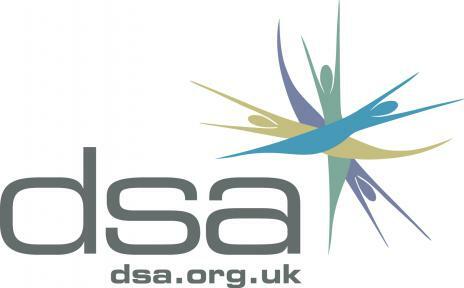 01604625700 or visit the DSA website: www.dsa.org.uk.